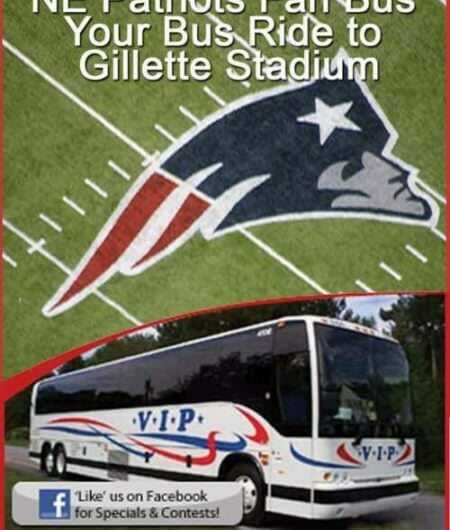 The Patriots Fan Bus is back for another season! Ride-only service to New England Patriots home games at Gillette Stadium. Driving with traffic and parking fees can be a huge hassle, so leave the driving to us and enjoy time with your friends and family onboard our deluxe motorcoach. The bus will arrive to the stadium approximately 2 hours before the game and depart 30 minutes after completion. Ride only. Does not include your game ticket. Date and Schedule to be revised once released by the NFL.